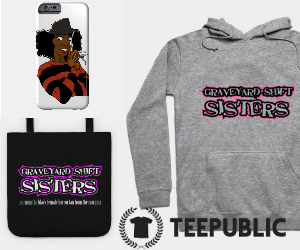 "The Importance Of Neglected Intersections: Characterizations of Black Women in Mainstream Horror Texts"
Thesis: The construction of black women characters in horror, while more bountiful than ever and proving "astronomical" in "advertising revenues" in the 21st century, still fail to escape disorienting and old tropes that diminish the complexities of Black womanhood in the genre. 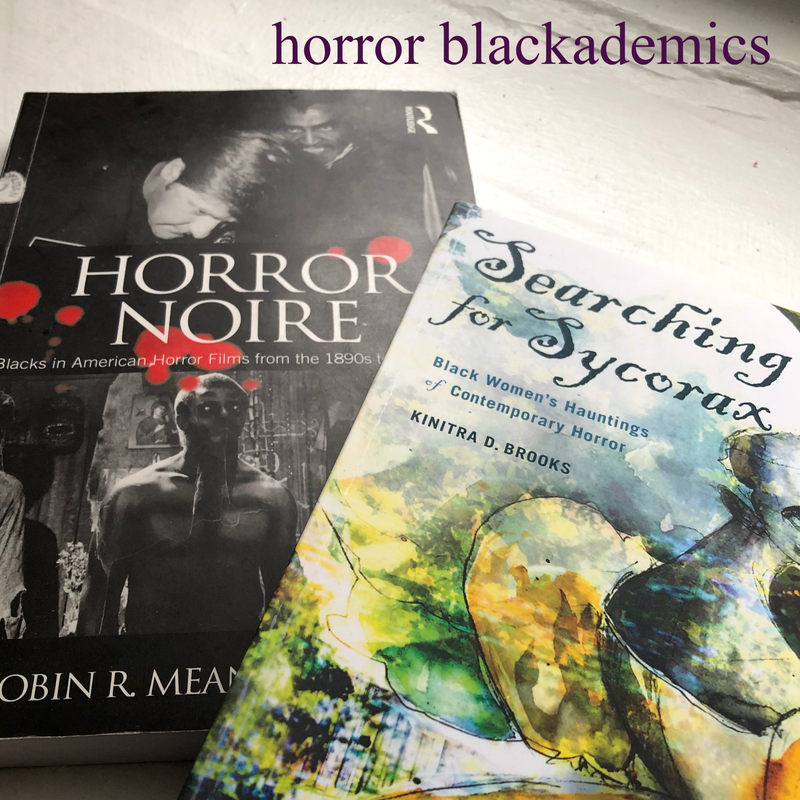 Here, Dr. Brooks "exposes mainstream horror's simplistic characterizations of black women by examining their presence in one of horror's most celebrated subgenres, the postapocalyptic zombie text" because of its varying, layered, and always complicated depictions of Black womanhood. oppositional gaze - a term coined by feminist scholar bell hooks described as the act of looking or gazing as a potentially revolutionary act (especially for black women) as it asserts existence and legitimacy in the face of sociopolitical opposition. Further, although movies, just as one example are created by the gaze of the dominant in society, the work is vulnerable to critique by the marginalized, creating "oppositional readings" that "formulate and ferment" into creating a discourse that invites perspectives that combat oppressive ideologies. The act of looking then becomes a "site of resistence." intersectionality - often used in critical theories to describe the ways in which oppressive institutions (racism, sexism, homophobia, transphobia, ableism, xenophobia, classism, etc.) are interconnected and cannot be examined separately from one another. The concept first came from legal scholar Kimberlé Crenshaw in 1989 and is largely used in critical theories, especially feminist theory, when discussing systematic oppression. This chapter outlines the historic implications of and problems with the notions of inherent strength and the masculinization of Black women which insidiously removes them from being categorized as women. The enslavement of African women held under a racist, sexist, and classist system forced these women to adapt traits not associated with womanhood or even humanity. 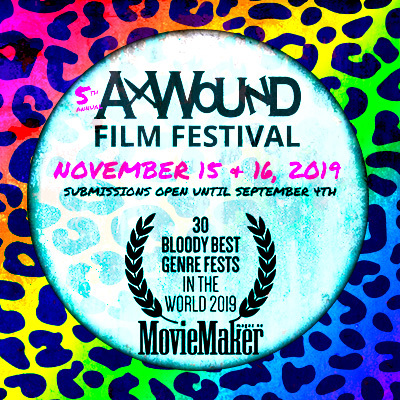 "The display of strength in unimaginable circumstances easily paralells the experiences of the final girl in the horror film's concluding chase scene. 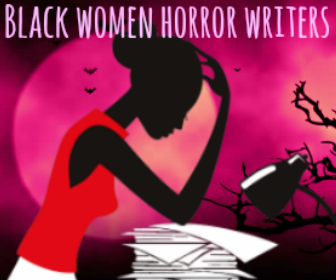 The coping mechanisms black women developed to deal with their multiple oppressions become a detriment to this particular characterization in contemporary horror." 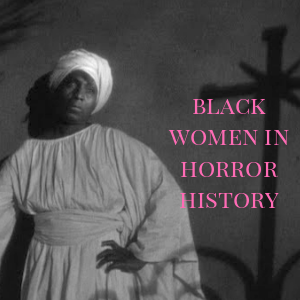 Brooks contends, Black female viewership of horror comes from a point of looking by way of the oppositional gaze; "an act of viewing the horror text from a place of rupture--the marginalized position of black women--which influences their negotiated reading of a text that either ignores them or deems them freakish monstrousities." 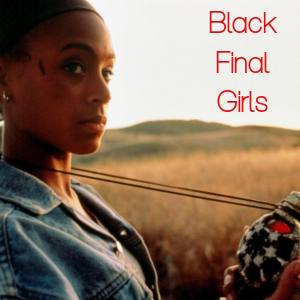 "a fresh take on the final girl"
Overall, both of these characters expose "constructions of the strong black woman, the stereotypes of black female sexuality, and the powerful race and gender dynamics that influence" the oppression of black women. "The problematic assumption of whiteness" is a neglect in horror criticism of the genre's multiracial audience. How does Brooks use examples in this chapter to identify this issue and further, find examples that incorporate an 'assumption of intersectionality'? 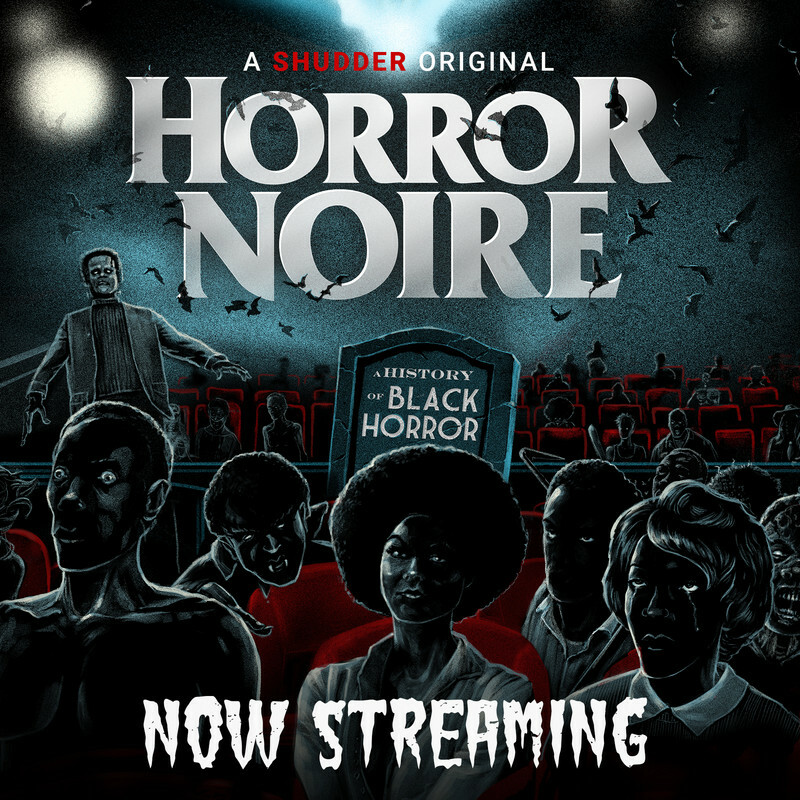 What are other ways in which Black women have been deemed monstrous and how are they incorporated in film? Brooks makes a great observation about the contemporary zombie narrative's shift focusing on the "mental and physical states of the survivors" and "the potential to actively revise societal hierarchies as a matter of survival." Thinking about the examples she uses as to why this potential is almost always squandered, what factors into keeping our traditional status quo of who gets and maintains power (over others), even in a reconstructive society like the zombie apocalypse? 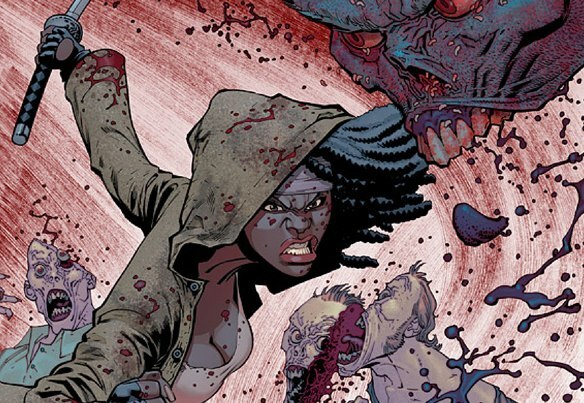 How does Brooks conclude Boyle's representation of Selena and Kirkman's construction of Michonne? What stereotype do both characters "complicate" and share?